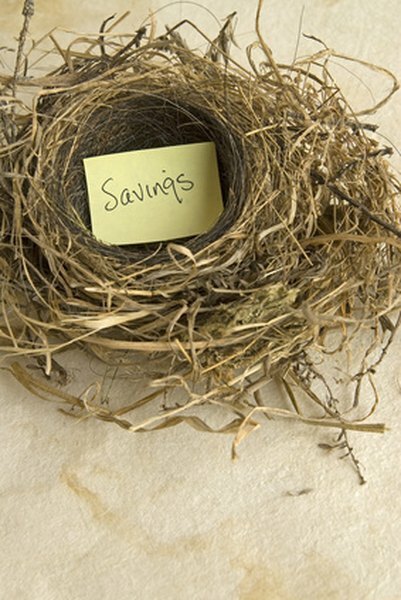 Your 401(k) nest egg will not affect Social Security retirement eligibility. 2. What Is Considered Earned Income With Social Security Benefits? 3. Do IRAs & 401(k)s Affect SS Payments? If retirement is looming on the horizon, or if you are applying for Social Security disability or Supplemental Security Income, it's wise to keep posted on Social Security's rules for income and assets. The agency makes an important distinction between earned and unearned income, which will affect your eligibility for some kinds of benefits. Your eligibility for Social Security retirement benefits is based on your work record, and your benefit level depends largely on how much you've earned over your working life. Social Security does not count 401(k) savings as earned income, even though you worked for it. Instead, the agency applies a complex formula to your lifetime wage record in order to come up with the monthly benefit, which will be reduced if you begin collecting before your full retirement age (which ranges from 65 to 67, depending on the year of your birth). The amount of money you've managed to save in a 401(k) does not affect the retirement benefit, nor does any withdrawal you take from the account decrease the amount Social Security pays you. Social Security only adjusts the retirement benefit with a cost-of-living increase, which is set every year according to federal law and guidelines. If you're applying for Social Security disability, you must prove to the agency that you have a medical condition that has lasted, or is expected to last, at least 12 months, or that will result in your death. This medical condition must prevent you from working and earning enough to support yourself. Although Social Security limits the amount of wage income you can earn when applying for disability, non-wage income does not figure into eligibility. You can take as much as needed out of a retirement or savings account such as a 401(k), but if you are younger than 59 and a half, the IRS will assess a penalty for any early withdrawal. Otherwise, your earnings from work is limited to the substantial gainful activity amount, which at the time of publication, stood at $1,010 a month before taxes. If you don't have a sufficient work record for Social Security disability, you can still apply for Supplemental Security Income. The SSI program, however, limits both income and assets, known in Social Security parlance as "resources." Before Social Security will review your medical records to determine disability, it will carefully review bank statements as well as any statements from a 401(k). If you have resources of more than $2,000 (if you are single) or $3,000 (if you are married), then you won't qualify for SSI. Social Security limits both earned and unearned income for SSI applicants as well. The basic limit is $698 monthly for single persons, and $1,048 a month for couples, with only half of earned income over $65 a month counted toward the limit. Income from a 401(k) plan is considered unearned income, similar to other Social Security benefits, unemployment benefits, interest income and cash gifts from a friend or someone in your family. The income limit is higher if you are married, and Social Security excludes $20 per month of unearned income when determining if you exceed the limit. SSA.gov: What's New for 2012? What Is the Max I Can Make if I am Retired and Want to Work?